Tallgrass Energy LP and Silver Creek Midstream LLC announced Oct. 15 that they have agreed to expand their Powder River Basin joint venture. 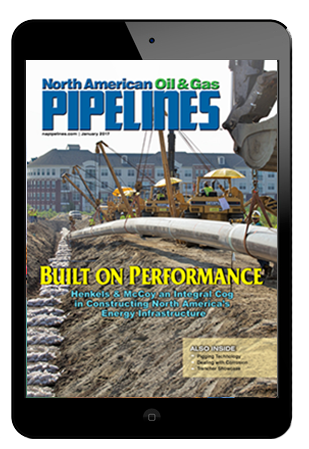 The expanded joint venture, Powder River Gateway LLC, will own the Iron Horse Pipeline, the Powder River Express Pipeline and crude oil terminal facilities in Guernsey, Wyoming. Both Iron Horse and Powder River Express will transport crude oil produced in the Powder River Basin from Silver Creek’s Pronghorn Terminal to Guernsey, where the crude oil has access to Tallgrass’ Pony Express crude pipeline system and two other existing takeaway pipelines. Tallgrass will operate the Joint Venture and own 51 percent of Powder River Gateway. Silver Creek will own 49 percent. Iron Horse is an approximately 80-mile, 16-in. crude oil pipeline currently under construction. It will have an initial capacity of approximately 100,000 barrels per day (bpd), with the ability to expand up to 200,000 bpd. 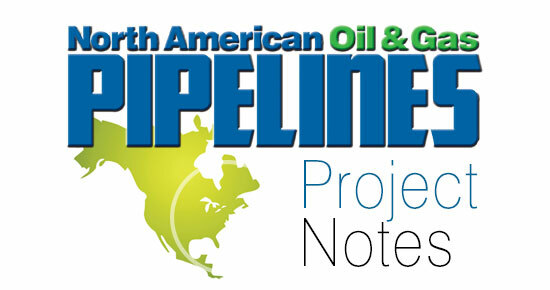 The pipeline is expected to be in-service by the first quarter 2019. Powder River Express is an approximately 70-mile, 12-in. crude oil pipeline, with a current capacity of 90,000 bpd that is expandable up to 125,000 bpd. The crude oil terminal facilities in Guernsey collectively own more than 340 acres and include 370,000 barrels of crude storage currently in-service. Once fully constructed, the facilities will include more than 1 million barrels of storage. Powder River Gateway has existing interconnections to Pony Express, as well as two other takeaway pipeline connections, and it has the ability to access any other current or future markets at Guernsey. When combining Silver Creek’s existing system with its recent acquisition of additional Powder River Basin crude oil assets, the company will own and operate a total of 120 miles of existing pipeline and have more than 330,000 acres dedicated from top Powder River Basin producers. Silver Creek’s Powder River Basin infrastructure offers rail capability in and out of the company’s Pronghorn Terminal located in Converse County, batching capabilities throughout the system for at least three specs of crude, and trucking capabilities through a transportation fleet to meet interim service needs as gathering pipelines are constructed. Furthermore, Silver Creek will commence construction in the fourth quarter 2018 to further develop the existing gathering and trunkline infrastructure by an initial 52 miles of crude pipelines and more than 100,000 barrels of additional storage. Tallgrass, which owns and operates Pony Express and is developing both the Seahorse Pipeline and Plaquemines Liquids Terminal projects, provides extensive downstream market access for Powder River Basin producers. Powder River Gateway intends to create joint tariffs with both Pony Express and Seahorse, providing Iron Horse and Powder River Express shippers seamless transportation from Silver Creek’s Pronghorn Terminal to Cushing, Oklahoma; St. James, Louisiana, export markets through Plaquemines Liquids Terminal, and more than 3 million bpd of refining demand directly connected to Pony Express or Seahorse. Additionally, Tallgrass is pursuing multiple expansion projects on Pony Express to meet the needs of growing Powder River Basin production. These expansion projects will be staged over the next few years, with the initial pump upgrades coming online in 2018. Pony Express intends to launch an open season for additional expansion capacity out of Powder River Gateway’s Guernsey facility in November 2018.